I was recently asked what an author should know before hiring a self-publishing company. 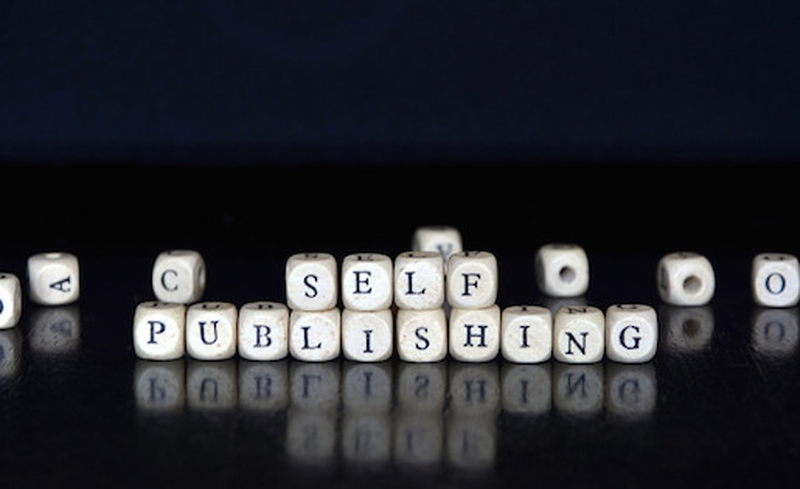 Before we start, you should understand what a self-publishing company IS and IS NOT. 1106 Design, for example, is not a self-publishing company. We provide services TO authors and companies who wish to publish books but don’t have the skills, background, market knowledge, human resources, or time to do the design, editing, proofreading, typesetting, author websites, etc., themselves. At the other end of the spectrum from 1106 Design are traditional publishing companies, who will pay the author to publish the book (or one can hope anyhow), and will take care of the editing, design, and typesetting, and to some extent, the marketing. Somewhere in between are the companies that provide an array of services, packages, and guarantees of success to authors who wish to publish their own book. Navigating this grey, murky area in between is where authors tend to get into trouble. My first recommendation is to beware of companies that ask you to apply to have your manuscript “accepted” for publication. Unless they are a traditional publishing company, there should be no applications, and even then, getting noticed by a traditional publisher has nothing to do with applications. An application is just smoke and mirrors to make you think the company’s services are exclusive and in high demand. Along those lines, beware of companies that ask for money upfront, promising to publish your book for a fee that could extend into the thousands of dollars. It is true that they will provide services to you to prepare your book for publication, but you should make a side-by-side comparison between the cost to assemble the necessary services yourself and the cost to give your book over to this company, and also a comparison of the royalties you can expect (more about that in a minute). I’d like to differentiate this practice from companies that request a deposit on agreed-upon services, which is standard practice; it should be very clear to you what services you are receiving for your money. Second, if you are having another company design your book for you, regardless of whether they are a fee-for-service company like 1106 Design, a freelancer, a “self-publishing” company, or a well-known entity like CreateSpace, you must know at the outset what the company’s expectations are with regards to ownership of your book’s application files. Application files are the files created when designing and typesetting your book (e.g., InDesign files). These are the files that the company’s designer works with. You should understand the difference between these files and the PDF of your book. PDFs are submitted to the printer and cannot be modified; only the application files can be modified. Authors who wish to make changes and print elsewhere need the application files. The company that designs and typesets your book may insist that they own your book files. Ownership of the files is a separate issue from ownership of the rights to your book. For example, if CreateSpace designed your book, they will release the PDFs of your book but hold “your” application files hostage until you pay them more money. At 1106 Design, we rescue authors every week who discover this “gotcha” too late; when we provide design services, we are happy to turn over the application files to the author at no charge when the job is done. Third, understand how the author royalties—the author’s “profit”—will be calculated. The closer you can come to controlling the entire publishing process yourself—deciding who edits, designs, typesets, and prints your book—the better you control your royalties. As described in this previous blog post, only two companies do print-on-demand (printing books to fulfill orders through online retailers such as Amazon and brick-and-mortar stores): IngramSpark and CreateSpace. No matter what company promises you on-demand printing, the book will end up at one of these two companies. By signing a deal with a self-publishing company to “print your book on-demand,” you run the risk of the self-publishing company adding their fee to the actual print fee charged by IngramSpark or CreateSpace, thus helping itself to profits that should be yours. Again, just know what you are getting into. Losing a percentage of your royalties in exchange for a company who looks after everything may be appealing to some authors. Finally, put some thought into planning how many ISBNs you will require and to purchasing them ahead of time, and ensuring that your publishing company is listed as the publisher associated with the ISBN. As we wrote in a recent blog post on ISBNs, LCNs, and Copyright, the ISBN is the unique identifier used by retailers to identify and track your book. Any book that will be sold online or in brick-and-mortar stores must have an ISBN and a bar code on the back cover with that ISBN. That’s pretty much every book. Most authors put off getting an ISBN until the book designer asks for it, usually as the cover design process is nearing completion, or when the copyright page is being typeset. In the USA, authors must go to Bowker to purchase ISBNs; the Bowker website can be confusing, so it is understandable that authors would be happy to buy one from a self-publishing company, who might even offer them for “free” as part of a package. Publishers can purchase blocks of ISBNs (and yes, so can you) without needing to assign a book title or author to the ISBN at the time of purchase. In fact, a block of unused ISBNs can sit there for years. So when self-publishing companies provide you with an ISBN, they are assigning your book title and author name to one of their spare ISBNs, with them listed as the publisher. Which makes them—you guessed it!—the publisher of your book. Why does that matter? I’m glad you asked. For many authors, it won’t matter. However, should you ever wish to revise and reprint your book yourself, you will find it more difficult if you are not the publisher. Let’s say your book is selling well and you realize how much money you’re losing to the self-publishing company. Feeling more confident than you did as a newbie author, you want to organize your own print-on-demand so you can maximize your royalties. IngramSpark can’t legally work with you unless you are the publisher. So, you will need to negotiate with the original company to deactivate the ISBN so that you can purchase a different ISBN under your own publisher imprint. Again, it’s a matter of knowing what you are getting yourself into and understanding the future ramifications. The moral of the story is that authors should either maintain complete control over the publishing process, or understand the services the self-publishing company will provide, who the native application files belong to, and how the author royalties are calculated. Authors should understand what they are giving up by handing control over to a self-publishing company. Ideally authors should be able to work with whatever designer they want, print the book wherever they want, and make changes to the book whenever they want. This is true indie publishing. Publishing can be confusing, but we’re here to help you avoid the pitfalls. Call us! We’ll find a solution specific to your unique needs.